TRAD were asked to undertake a particularly sensitive demolition project on the very busy Knightsbridge thoroughfare. The building was an old Victorian residential property with retail units at ground floor level. These units and flats were vacated during the Autumn of 2015 to enable the full length public protection gantry and independent façade scaffold to be built. 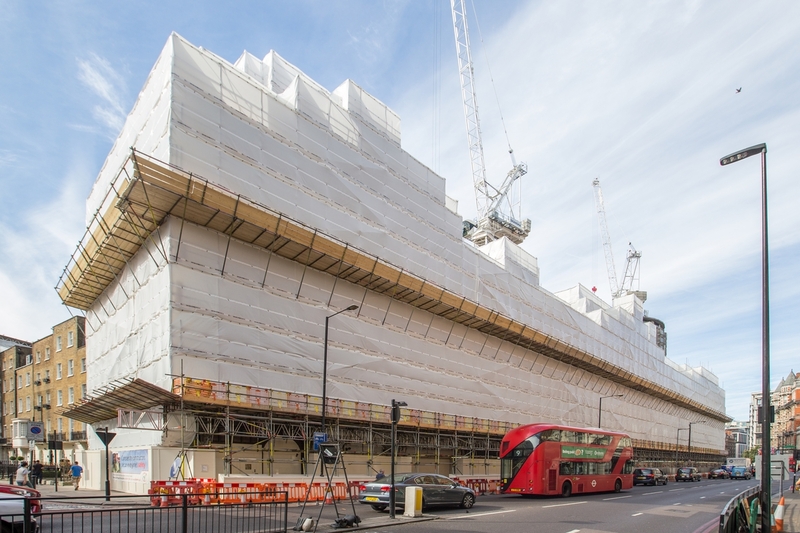 Our client Keltbray were employed by the principal client Skanska to erect the scaffold in several stages. 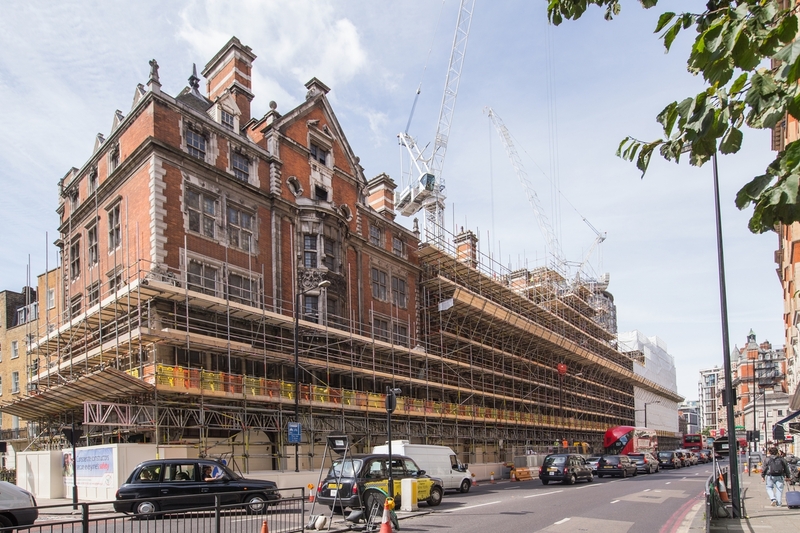 The first stage was to provide access to survey and repair the existing retained façade to the Knightsbridge elevation, and subsequently the full demolition of the rear and internal building. The scaffold was then dismantled on the front façade, with the gantry and independent to be re-erected to form the building retention support. The finished building will be home to new residential and retail units as well as brand new office space. 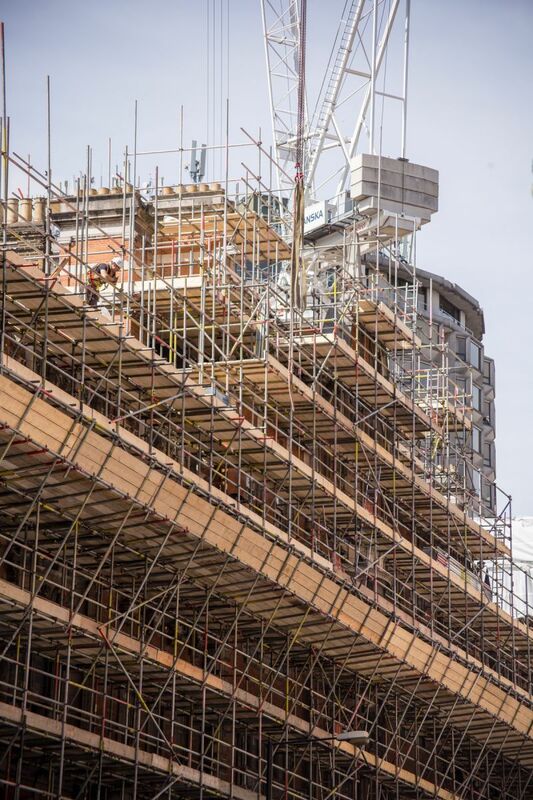 With a project value of £700,000 and over 15,000 m2 of scaffold to date, TRAD operatives worked both night and day shifts to deliver a stunning end product. Keltbray, along with the planning of the TRAD management team ensured the project was on budget, on time and built to the highest safety standards.